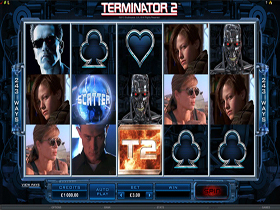 Terminator 2 has made a comeback in the form of an exciting Video Slot which is based on the Academy Award winning film of the same name. 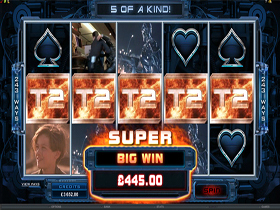 Sci-fi enthusiasts across the globe whose imaginations were captivated with the movie, will enjoy the Video Slot even more as an epic battle is about to unfold with an abundance of wins. 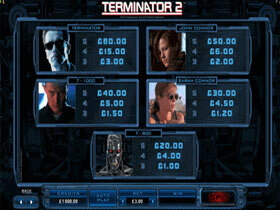 Terminator 2 Video Slot is set to be a success as it is a game like no other with nail biting entertainment. 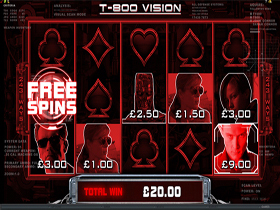 It has 5 reels, 243 ways to win plus high quality graphics that enhance the iconic footage from the film. 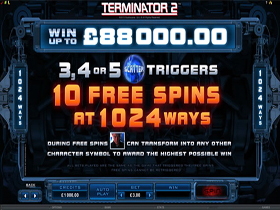 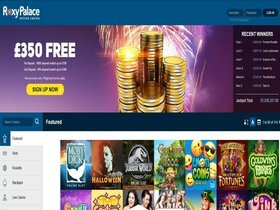 When the Free Spins Bonus is activated the game will take on a whole new dimension and expand to 1,024 ways to win. 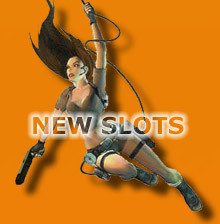 You will recognise all the familiar characters who offer their own special rewards as the plot unfolds. 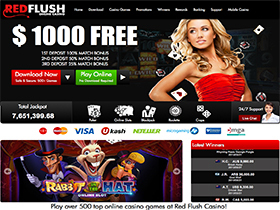 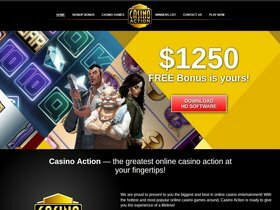 Red Flush Casino has over 650 Games and offers plenty of Player Rewards and bonuses, including 1 Hour Free Play and $500.00 - No deposit bonus................VISIT RED FLUSH CASINO.